Andy Weatherall and Keith Tenniswood's Two Lone Swordsman project has served as an influence to countless electro and electronica producers, but even these two scene luminaries had to start somewhere, and it's their roots that are left unexposed on this first collection of early work. Compiled by Weatherall himself the tracks are pulled from the his legendary Emissions Audio Output releases 'Fifth and Tenth Missions', 'Swimming not Skimming' and 'Stockwell Steppas' and slot together surprisingly well. Those of you that are familiar with 2LS's pre-Warp work will know how good these tracks are; stripped down pseudo-dance music at it's most creative. Tenniswood and Weatherall would eventually evolve their style to create the ambient masterpiece 'Stay Down' and the disturbing glicht-fest 'Tiny Reminders' yet here was where there sound began, in a studio above a drycleaners, breathing in the fumes and writing music about it. For a stunning example of the duo's finest early moments skip to 'Spin Desire' from the 'Stockwell Steppas' EP which takes the Detroit blueprint and injects it with some serious London attitude. Cascading melodies drench driving 808 beats and the duo's signature low-slung bass guitar sound takes the track into some kind of semi-lounge Lynchian paradise. Weatherall still might be best known for his work with Primal Scream on the 'Screamadelica' album, but it's nice to know that around that time he was also committing tracks this heavy to vinyl, and it's even nicer to know we can grab hold of them once again. Elsewhere we get a fine hint of what's to come with the overdriven electro mentalism of 'Jakey in the Subway' and an odd collision of minimal electro and jungle with the Keith Boy remix of 'We Love Mutronics'. 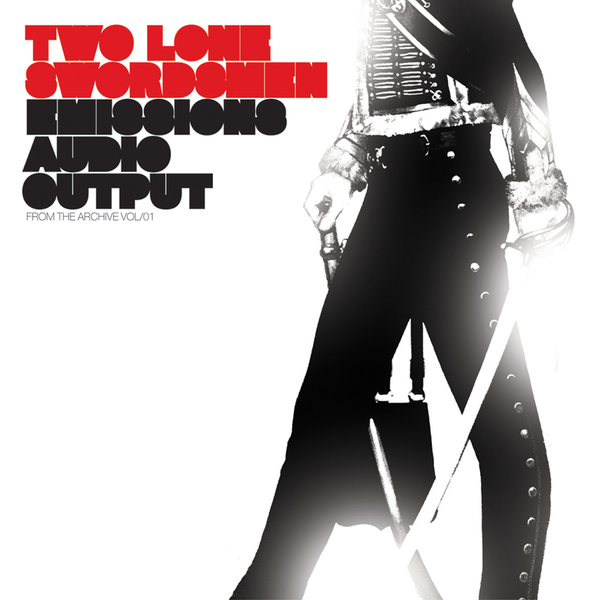 For Two Lone Swordsmen followers this is an essential selection of the tracks that shaped the duo we know and love, for everyone else this is just damned good dancefloor music, ready and waiting for that empty warehouse.